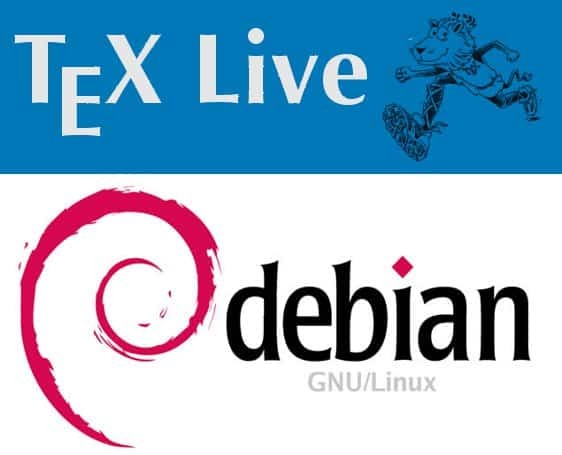 After many iterations and failures I finally managed to build preliminary packages of TeX Live 2014 for Debian. At TeX Live we just recently have entered the pretest phase, and that is a good time to see how the status is with respect to Debian. An although I have packages that upgrade cleanly from stable and unstable, that does unfortunately not mean that anytime soon there will be packages available from the Debian servers. As I have pointed out here in this blog several times, the biggest problem with building TeX Live is the requirement of libpng version 1.5 or higher. In Debian, we still have libpng 1.2 as default version, and all other libraries are compiled against libpng 1.2. That means, that there is no way to compile Debian/TeX Live binaries in unstable, I have to use experimental, as there are packages for libpng 1.6. Now the catch is, that these packages are not overriding/updating the old libpng 1.2, but just adds a new package libpng1.6, including the dev packages. Since building TeX Live needs quite a few more packages, I started out to rebuild the whole stack of libraries needed against libpng1.6. These comprised of fixing and rebuilding of the following libraries: libgd2, freetype, cairo, jbig2dec, and ghostscript. Anyway, that done, I started compiling TeX Live in a chroot with these packages installed, to ensure that everything is linked against libpng1.6. Since I am at the same time re-including luatex into the TeX Live build (outdating the independent package), it took quite a lot of iterations until compilation and actual working again worked. The rest was routine work, updating the arch-all packages to be rebuild from tlpretest. Nothing to worry about. Currently one can upgrade from Debian/sid as well as Debian/stable to these packages. But due to the rebuild of the libraries I don’t know and cannot guarantee that they will survive (in the sense remaining installed, as well as in the sense remaining usable) after an upgrade of one of the libraries from above. Furthermore, I have only built binaries for amd64 architecture, not for anything else. But the sources are there, if someone wants to follow up. There is no guarantee whatsoever that these packages do not break anything else. Your computer might start to burn, you might not be able to log in again, you might get lost between strange pixels. I don’t know what else can happen. USE AT YOUR OWN RISK. That said, for amd64 here it is. For people looking at the web, the directory is http://people.debian.org/~preining/TeX/2014/. As said, as long as libpng1.6 is not transitioned to Debian/unstable, and it replaces the default libpng-dev, and all packages are rebuild, there is no way I can upload these package to Debian. At the end, with the history that I have seen looking at the libpng package, I don’t expect that this will happen rather soon. I will anyway contact the maintainers and see if I can push them (I tried already several times) to finally (after 2 years!) really start the transition.